Sometimes people’s actions make you question the goodness of humanity. This is certainly the case for the former owners of Goldie, a sweet dog with a heart-wrenching story. 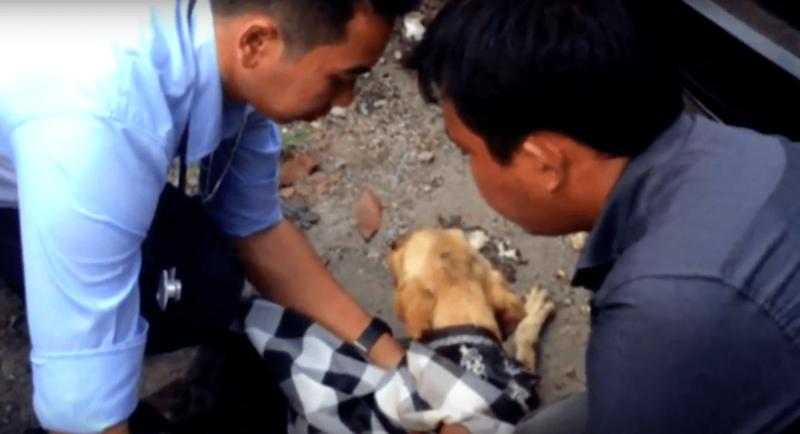 The poor pup was left in a stormwater drain and abandoned. She was left for dead, stuck in a deep hole and continually being drenched with rainwater. 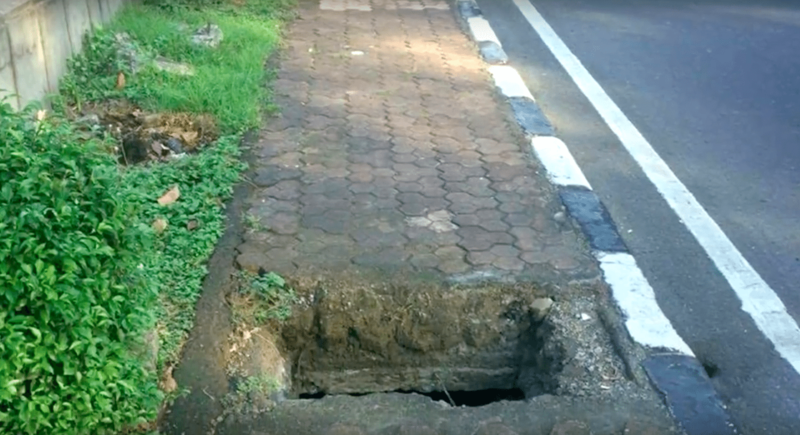 The evil owner even put the lid on top of the drain, leaving the dog with no way of saving herself. Goldie was down there for an entire month. With no real food to eat, she tried to consume non-edible materials like plastic from whatever garbage was around her. She also clung to life by floating atop the garbage in the drain. By the time someone found out about her, it was almost too late. When a local man who was related to a vet heard about Goldie’s situation he headed straight for the stormwater drain. He climbed in himself and rescued the dog, but she was a long way from being okay. Goldie was too weak to walk, and she could not keep down any of the food she consumed. She would need surgery to have the plastic removed from her body, but it was doubtful that she would make it through the procedure. The dog was brought to her foster home, where another pup named Shem kept her company. He waited by her side as she struggled to survive. 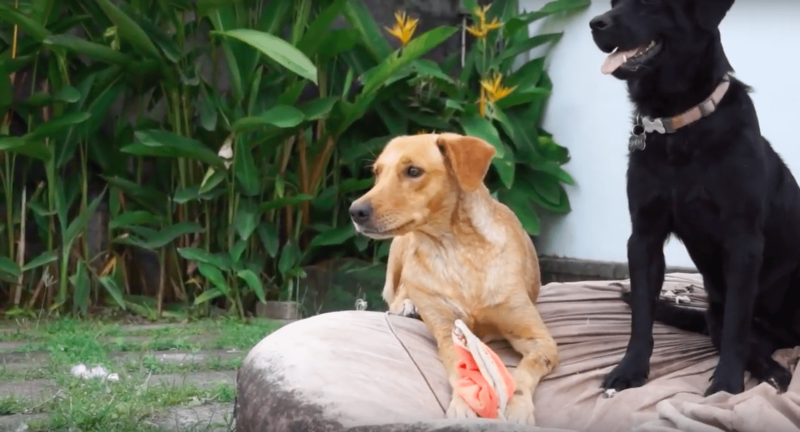 Over the next two months the dog would gain enough strength for a few minutes of playtime with the other pups, but her recovery was not what her rescuers had hoped. “Her lungs continued to be a problem, [and] her skin got worse not better.” It became clear to her foster parents that Goldie would be what is known as a “foster fail” – an animal that would not be able to be adopted. Her foster family vowed to stick with her until the end. Goldie needs special treatment for her multiple illnesses, but she is a sweetheart who is so grateful to have a home. One year after her rescue, the dog is doing much better. She can stand and play, and her trips to the vet are much less frequent. This dog’s survival story is a real miracle. Kind humans like Goldie’s rescuers and foster family restore our hope in humanity.